The primary law relating to the ownership and use of firearms in New Zealand is the Arms Amendment Act 1992 and this statute can be found on the NZ Government Statutes website at www.legislation.govt.nz/. 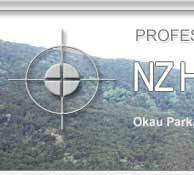 Further details of laws relating to firearms and general safety rules can be found on the NZ Police web site. Specific rules applying to the temporary importation of firearms by hunters can be found at www.police.govt.nz/firearms_import.php. You can download the application for a Visitor's temporary firearms license here. For hunting purposes, it is extremely difficult to bring semi automatic rifles into New Zealand, and it is not possible to bring handguns to New Zealand. You should have no problems bringing a bolt action sporting rifle into this country. 1. Declare all firearms to the New Zealand Customs Officials. 2. Declare all firearms to the New Zealand Police. 3. Apply to the Airport Police on arrival for a "Permit to Import". 4. Apply for a Tourist Firearm Licence, which is valid for one year. 2. Evidence that you have a firearms licence (or equivalent) in your own country. Note: Even without a licence, you may use a firearm if you are under the direct supervision of someone who does hold a Firearms Licence. Also remember that Gert has rifles available for your use at no additional costs, should you desire, but please notify Gert at the time of booking your trip if you wish to use his rifles.